The Belle Epoque is not your ‘usual’ wedding venue. The historic listed building, the secret Mediterranean roof garden, the art nouveau features and dramatic ceremony room create the most unique venue that must be seen to be believed. We so often get comments like – ‘wow we didn’t expect that’, ‘it is so much bigger that I imagined’ & ‘I didn’t even realise there was an outdoor space’ That’s why we encourage people to come and explore this incredible venue for themselves. We have a Wedding Open Day on Thursday 4th October, 5-8pm so please come and take a look around. 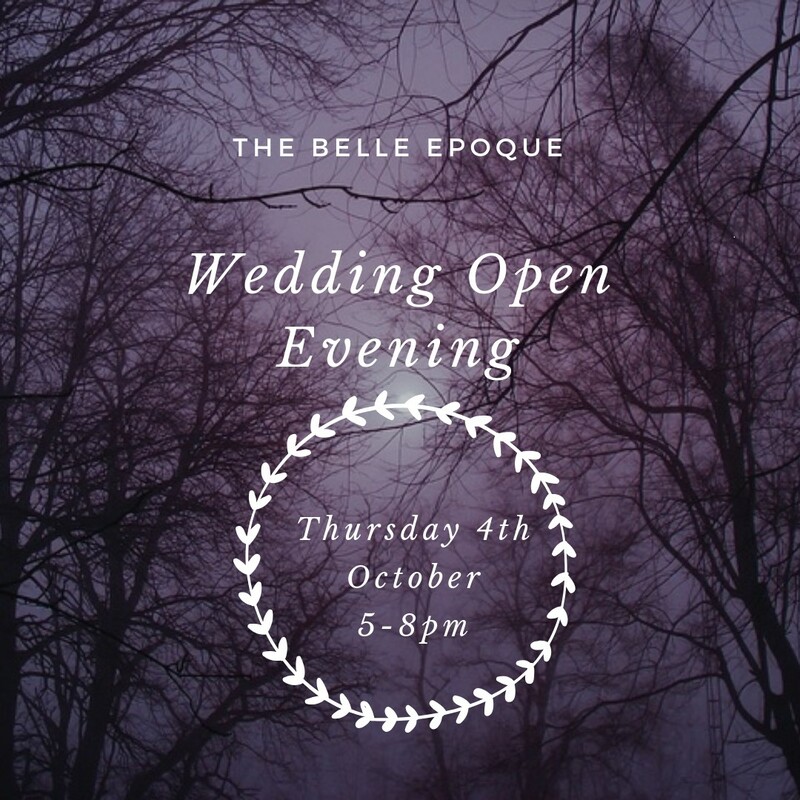 Our team will be here to answer any questions and talk you through our wedding packages/offers, and no trip to the Belle Epoque would be complete without a complimentary drink & nibble!